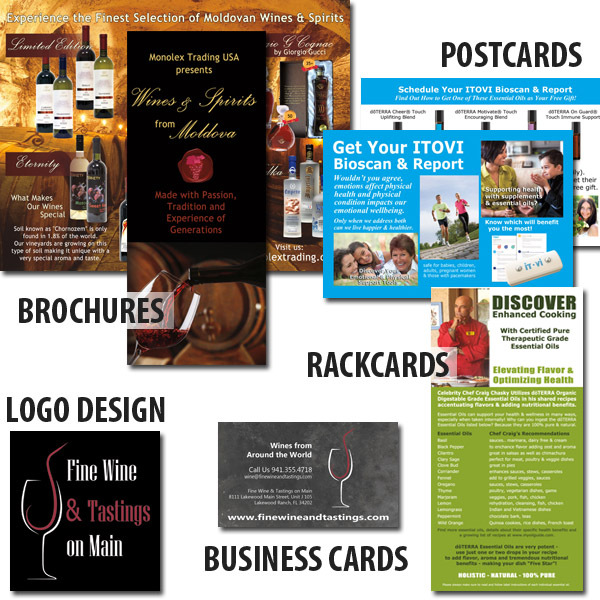 Design of promotional brochures, 3-fold, 2-fold, full-color. Copy writing. Photography. You name it, we deliver. Postcard design for sleek, professional mailings. Get your message out. Reach more potential customers. Re-engage your existing customer base. Great marketing tool. Deliver your message. Share details about your services or products. Include vital tips. Hand out to potential customers. This one becomes a keeper! Starting a new business or never had a real logo? Many small business owners have a company name but not an eye catching logo identifying their “brand”. We can help design a logo that matches your image and company message. Business cards — a necessity for every small business owner. We custom design business cards to “stand out” in the crowd! We can develop your “Branding Blueprint”. It defines what your “Brand” represents. It is the basis for delivering a consistent message between all your promotional materials and advertisements, including your website, social media presence, and online marketing. The Branding Blueprint is a guideline that you can provide to anyone involved in creating an advertisement or promotional material for you, so that the design will always be in line with your branding.